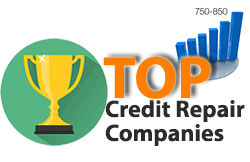 Top Credit Repair Companies Reviewed. Which Service Is The Best? Bad credit is a common problem tearing families apart financially these days. A low credit score can often mean not being able to get a loan, getting forced into high interest rates, and other issues. Each year hundreds of thousands of people just like you are turning to credit repair companies to fix their credit and improve their FICO credit scores. The use of credit repair services can allow you to get assistance with removing negative things from your credit report. Things like missed or late payments, repossessions, and much more. The problem is that choosing a reputable service provider and trying to find the best credit repair service can be a daunting job. There are thousands of companies out there and it can be hard to decide who to bring your business too. Here at CreditCage.com, we have carefully studied and investigated several of the top credit restoration companies to identify who among them are the best in terms of client satisfaction and how much they care and provide for their clients. We have used several different rating items to factor into our results and come up with a comprehensive list of the best companies. Lexington Law is our top choice due to how reputable they are in the credit repair community. They have been in business for over 27 years garnering tons of experience each year and nearing a million clients served. If you want to work with the most respected credit repair company in the industry then you should give Lexington Law a call today. They have a free consultation for new customers. Sky Blue Credit is our second choice for fixing negative items and errors on your credit report. They are experts at improving your credit score and have plenty of happy clients to prove it. If you check out the BBB (Better Business Bureau) you will see their A+ rating from customers. According to their website, they dispute 15 items every month. This makes them one of the quickest services available. Plus they’ll look at your case for free. CreditRepair.com is one of the oldest credit repair companies online. They have been serving customers since 1997. Not only do they help with removing negative items but they offer a service to monitor your credit 24 hours a day all year. They will give you access to your own dashboard where you can see statistics about your credit. Their services tend to be a little more expensive than competitors, but some say you get what you pay for! Do Credit Repair Services Actually Work? Are they worth it? In this day and age, many folks are rightfully skeptical about online services claiming to help your financial status. After all, each year with the rise of all things internet the world of online scams has exploded. The truth is that there absolutely are credit repair agencies online that can help you fix your credit and increase your credit score. And they actually work as expected! Our top rated company claims on average they are able to remove 10 negative items from each of their client’s credit reports. The cool thing about these online agencies is that the reputable ones actually offer a money back guarantee which makes it so you have nothing to lose. You only pay if you are a happy customer! Another great resource is that these companies will often evaluate your case 100% for free up front. That way you will know if you are a good candidate for credit repair. How Do Online Credit Repair Services Work To Fix Your Credit? Before you dive into the hiring process you should probably understand what they are offering and what you are looking for. When you open the lines of communication with one of these companies they should be able to give you a proper idea up front of what they can or can’t do for you in your specific situation. A quality credit repair company should be able to help increase your credit score leading to further eligibility for mortgages, vehicle loans, and other financial services you may not have previously qualified due to poor credit. The agency will review the reports identifying any negative or incorrect items that can be disputed. The agency will gather supporting documentation and file disputes to these reports on your behalf using proprietary techniques to increase success. The agency will keep a dialog open back and forth with both your creditors and credit bureaus for the entire process of removing negative items. Are These Companies Worth The Money? A big question we get from a lot of people starting to take their personal finance seriously is whether or not a credit repair service is worth the monthly cost. The fact of the matter is that these services typically cost between $60 to $100 a month. The good part is that there are usually no contracts so you can cancel the service if you feel you are not getting value. An easy way to determine if one of these services would be worth your money is to consider how much extra you are currently paying in interest on credit cards with your current bad credit score. Also, think about how much more you would spend on a mortgage with a bad rate vs a standard rate. $100 becomes a drop in the bucket compared to those. These services will expedite fixing your credit score saving you several thousand dollars in the long run. ​A huge red flag should be any service that wants you to pay up front before looking into your case. Most if not all reputable companies will assess your case to make sure you are a good fit for credit repair. Never pay a company to look into your case. Request your credit reports and look into your negative items. Obtaining your credit reports and looking into this can help you get educated on what you need help with. Know your rights. Educating yourself on The Fair Credit Billing Act will help you understand the protections put in place for consumers since 1974. This act lays out the guidelines and procedures for disputing credit issues. 1) Are they Bonded / Insured? You want to only work with a company that is licensed, bonded, AND insured. This is serious business and you need to ensure you are working with true professionals. Ask to see proof of this if you are worried. ​2) What Information Do I Need To Provide? Depending on the company you may be asked to request credit reports on your own and provide them or the company may be able to request on your behalf. However more often than not companies will require a Government issued ID, address information, employer information, account numbers, a list of assets and debt, and other important financial documentation. 3) Ask them to educate you on credit factors. ​If you are not 100% educated on how credit works, you’ll want them to explain to you the things that go into procuring a credit score and how you can do things to contribute to raising your score. Them simply giving you a TODO list without you understand the reason behind it will not help you solve your deep rooted financial issues since you won’t know what they are! 4) Ask them for contact methods. ​A quality company will have a deep level of customer service. Ask about having a line of contact to the service representative attached to your account. Ask about what hours you can reach them. Ask about the refund process if you don’t like the service provided. Ask all the questions NOW so you can be prepared for the future. Personal finance is about being financially prepared consistently. 5) Ask how you can track the results of their work. ​A reputable credit repair company will be able to show you the path they have taken and are taking for your account. You should be able to see the measurables and understand any progress being made for you. If you aren’t seeing results then why are you continuing to pay a company monthly?